So Why Do You Need A Resume Writing Company? It can be a tough decision to decide to employ a professional resume writing company. But you may have applied for job after job and are not getting anywhere. As Einstein said, “Insanity: doing the same thing over and over again and expecting different results.” Also, chances are it is not high on your list of expenses and you may not even think of turning to the professionals until your application is almost due. But it is definitely a worthwhile investment. It absolutely helps to know your limitations. You are good at what you do, but you may struggle to express your previous work experiences well in writing (or even orally, and here at Select Resumes, we can help with that too!) and your writing style may confuse HR professionals – and this is when a resume writer can help. One of the main benefits we have noticed in our experience of helping applicants is the collaborative aspect of producing your resume that working with a professional resume writing company gives you. You are no longer alone in the process, and the mere act of being able to talk to someone (and someone who can guide you effortlessly through the process) breaks the cycle of repetition that has plagued your previous attempts. Moreover, it unlocks new horizons and new approaches that you probably had not even considered before. Here at Select Resumes, we have found that reticence to brag about your own experiences is one of the big blocks to writing a truly effective resume; but we will soon break you of that habit. We are all about hearing about your achievements, and we write them up in such a way that perfectly frames your talent whilst simultaneously showing how these skills mesh perfectly with the recruiter’s requirements. Our professional Resume Writers know instinctively how to spotlight your most valuable accomplishments because we’re looking at them with fresh, balanced eyes. We will turn your resume into a personal, but powerful sales tool. Some job seekers who have been out of the workplace for some time, or have gaps in their resume, worry that their document will raise doubts or look amateurish. Or perhaps you are shifting careers or even just entering the workplace and worry that your resume has little to show. But whilst you cannot change the past to suit the present, we know precisely how to emphasise your positive attributes, achievements, qualifications and experience in such a way that gracefully negates any perceived minuses in your history and presents you in the best possible light. This is all possible when you engage a professional resume company such as Select Resumes. The most important part of the whole process is your telephone consultation. Make sure you are in a quiet space where you can think and concentrate. Your consult can take anything from 45 minutes up to an hour or more, but it is possibly the most worthwhile time investment you may ever make. We will take time first to put you at ease and find out a bit about you, before probing your work history, qualifications and achievements. We gradually tease out information that you may not realise you knew. So many times when we ask for key achievements, even from people who have only just graduated, they swear they cannot think of anything (we have even had clients saying “Oh, I don’t know, just make something up” Err, no, that is not going to happen!). 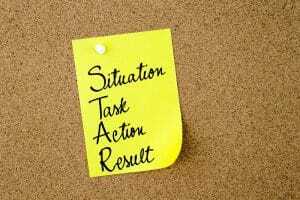 But by taking time to go through your experiences we always, 100%, will be able to coax from our clients that key achievement that meets the requirements of the STAR system (Situation, Task, Action, and Result). It never fails, and many clients are genuinely surprised at the results we are able to extract. Making the decision to invest in your future may not be an option for some people. However, we would positively urge anyone that is determined to land that dream job or is in the least bit frustrated with constant rejections when they know they are perfect of the positions they are targeting, to get in touch with us at Select Resumes. We are confident that you will be making the right decision to work collaboratively with a team that understand your frustrations and will help you achieve your goals!